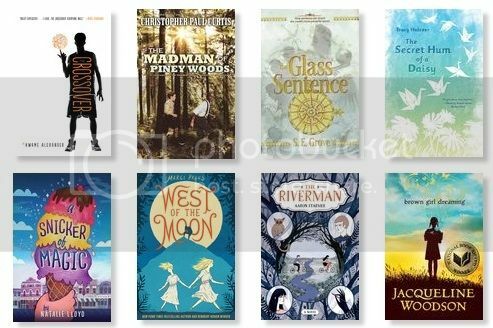 The Newbery and Caldecott awards are going to be announced soon - all of the American Library Association youth media awards, actually, including the Alex, Printz, Morris, Coretta Scott King and Pura Belpre, Batchelder and Seuss Geisel awards. (along with a few more that I'm sure I'm forgetting!) But, the Caldecott and Newbery awards are the ones that get people really excited. I've put together a list of predictions - things that have been getting a lot of buzz. We'll see in a few days, if any of these end up as winners, or if the awards will go to some dark horse from a small press that none of us have heard of. I loved this book. Will it strike gold? Super educational. Teachers and librarians will be so happy if this one wins. I like Michelle Sweet's illustrations a lot, even if they don't feel "strange" enough to win. The Farmer and the Clown - Marla Frazee. Lots of good buzz on this nearly wordless picture book. I can see this one winning. I'm a longtime Frazee fan. How great would it be if this was a winner? I love to think of generations of school children enjoying this title. Another wonderful biographical picture book. I'm rooting for it. This book is such a charmer! I'm including this book, just to be ornery! I think it would cause such a stir to nominate this book for an award that goes to the best pictures. I think people will go wild, if the American illustrator for Harry Potter wins for this book. Such a strange and wonderful book. This could really be a winner. Lots of buzz for this one. Will multiple award winner Curtis snag the gold again? Fantasy doesn't usually stand a chance, but maybe this one will come up with an award. This is the kind of thing that I'd love to see win. Magical and fun. Okay, you heard it here first. I think this book is going to sweep multiple categories. I'm hearing so many wonderful things about it. NIce lists! I've read very few books from 2014 that I thought would qualify for a Newbery, but I also haven't read Brown Girl Dreaming. With so much award buzz already behind it, I wouldn't be a bit surprised if it won. It will almost certainly earn a Newbery Honor, if not win outright. 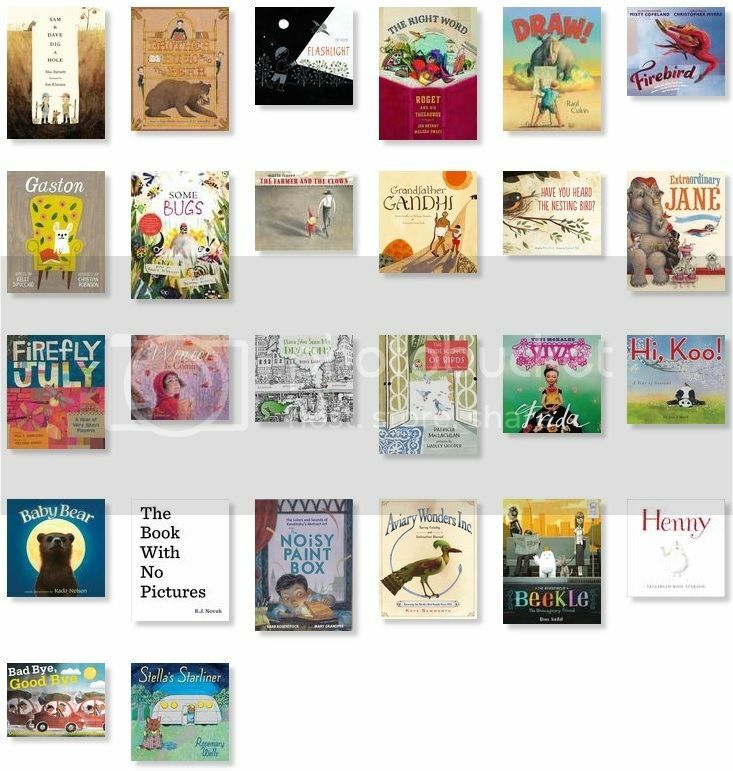 I think my main problem with the Caldecott is that it is ostensibly an art award but it is given by librarians, not by people who understand art and visual composition, so I'm almost always surprised by the winners. Ah! I left a whole comment and my computer ate it. I think you are so right about the Caldecott. I do know it is supposed to go to a book where the text and art support each other perfectly. Librarians on the committee definitely make an effort to study up on art terms and techniques, but it's not the same as having a full-time art background.